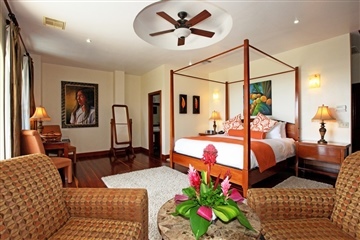 Our Luxury Honeymoon Suite is perfect for honeymoons, anniversaries, romantic getaways, and even individuals who simply want to indulge in exquisite decadence. 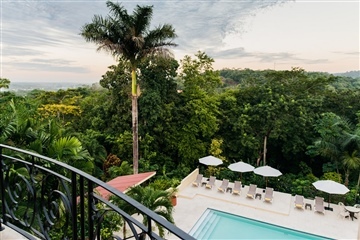 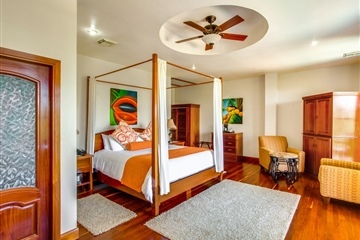 The Suite, furnished with hardwood floors, local art, and woven tapestries, offers views of the swimming pool area, river valley, and San Ignacio’s rainforests. 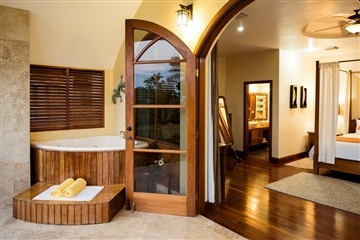 To add that extra touch of luxury, the Honeymoon Suite contains a Jacuzzi and a private butler upon request. 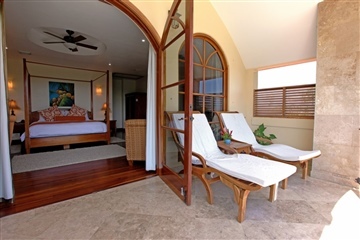 Guests staying in the honeymoon suite enjoy complimentary breakfast daily and access to on-site hotel tours.